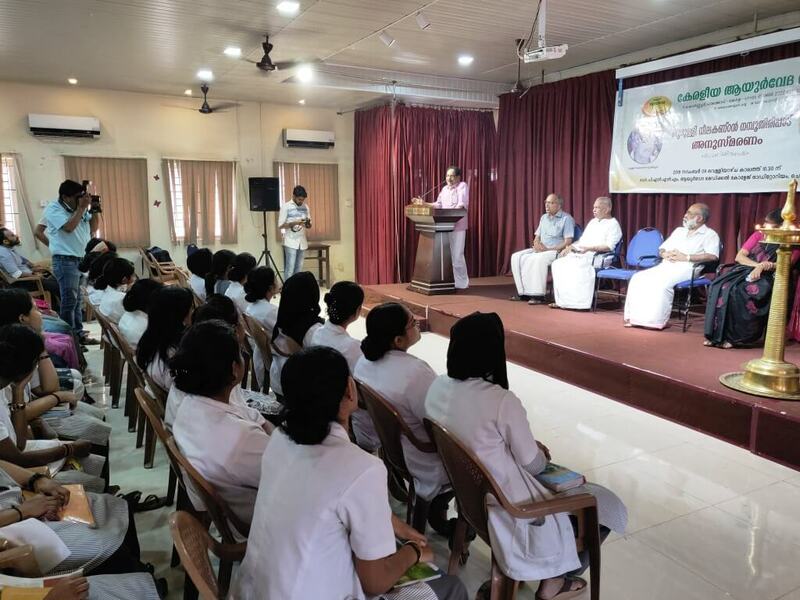 Keraleeya Ayurveda Samajam & PNNM Ayurveda Medical College - Our Medical College - organised the 21st remembrance day (Death Anniversary) of "The Lord of Learning" (അറിവിന്റെ തമ്പുരാൻ) -Sri. Poomulli Neelakhandan Namboothiri.. (ആറാം തമ്പുരാൻ).. He led Keraleeya Ayurveda Samajam from the front for 31 years and shaped it to today's glory... He is our guiding light and inspiration for ever.... Samajam President Sri,. 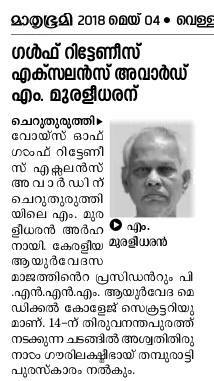 M. Muraleedharan presided over the function. Vice President and son of Late Sri. Neelakandan Nampoodiripad, Ashta vaidyan Sri. Narayanan Namboodipad offered welcome address. Noted Lyricist Alakkode Leelakrishnan delivered the key note address. PNNM Ayurveda Medical College Principal Smt. 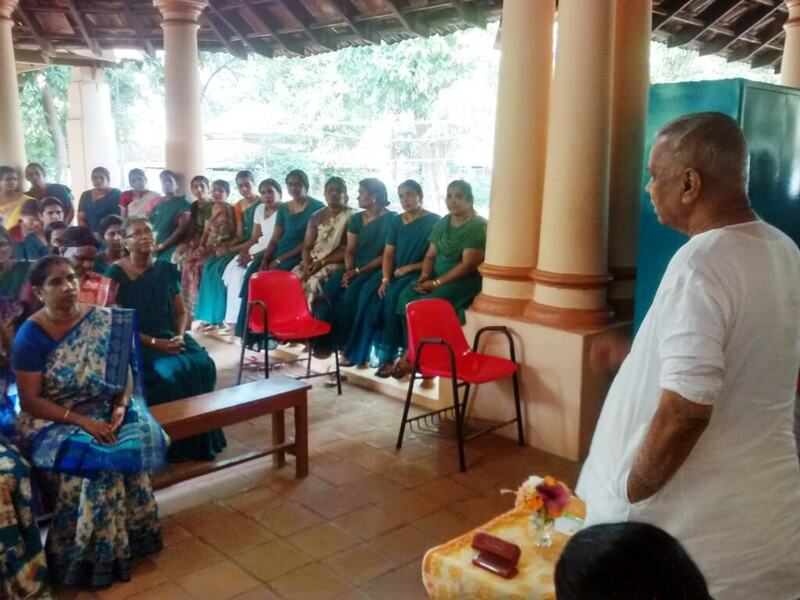 Dr. Vijayakumari Amma (MD), made felicitation speech and Shilpi Janardhanan gave vote of thanks..
NATIONAL AYURVEDA DAY CELEBRATED... @ KERALEEYA AYURVEDA SAMAJAM, holding an awareness program on Ayurveda & Public Health". The event was presided over by Samajam President Sri. M. Muraleedharan who delivered the key note address. Dr. Mruthyuinjay Prasad, Dr. Meera, Dr. Febi Jan and Dr. Aswathi dealt with various topics in Ayurveda. 5TH NOVEMBER, 2018... NATIONAL AYURVEDA DAY CELEBRATIONS AT KERALEEYA AYURVEDA SAMAJAM... PUBLIC AWARENESS PROGRAM.. "AYURVEDA.. THE SCIENCE OF LIFE"